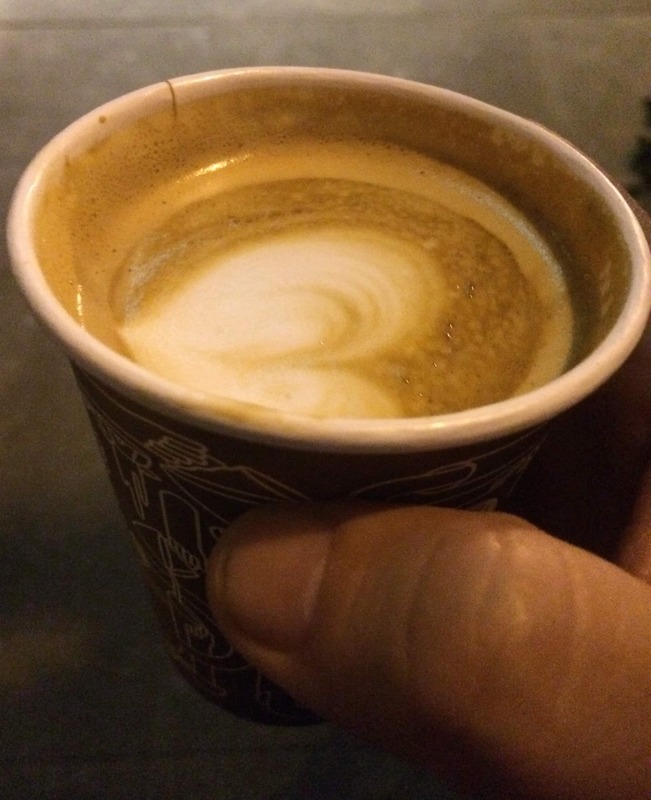 How the Matisse / Diebenkorn exhibit led me to “Be careful only in a perverse way” over “Coffee”. I don’t know much about Matisse, and going through the show, I was haunted by a friend’s story of a bad first date to this museum: her date, in reference to some abstract paintings, remarked that he wished his 5 year old could be so successful. My friend found her date’s lack of understanding and callous attitude a good enough reason to be done with the evening as quick as possible. Yet, there I was, wondering about why Matisse mattered. And who this Diebenkorn guy was. But, still, Matisse, as displayed, didn’t strike a cord. Someone else who sort of fell in love with the same painting. A painter. And, looking at his work, I immediately felt a gleeful swirling towards it. 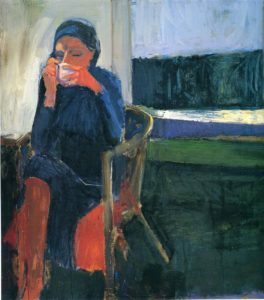 After watching Bechtle talk about Diebenkorn’s “Coffee”, I felt a much closer kinship to the work, the artist and painting in general after this. It raised a new thought for me: perhaps, the contemplation required for a painting, in our current over-synthesized experience, may be a balm for the current condition. showing a deliberate and obstinate desire to behave in a way that is unreasonable or unacceptable, often in spite of the consequences. Which makes me think – that is a great way to define art: only by being deliberate and unreasonable despite the risks do we throw a contrasting light on the rest of society. And that brings me back to Matisse. In a world of strict portraiture, he was the “pervert”, letting go of form, and focusing on color – deliberately acting unacceptably to current standards unapologetically. Perhaps our database / computerize life would be better off with more focus on the abstract. Side note: In a text conversation with my earlier aforementioned friend, it also became clear to me that research is a powerful drug: mind opening, pulse quickening, hallucinogenic and euphoric. Also, I am serious about getting that cup of coffee with you.